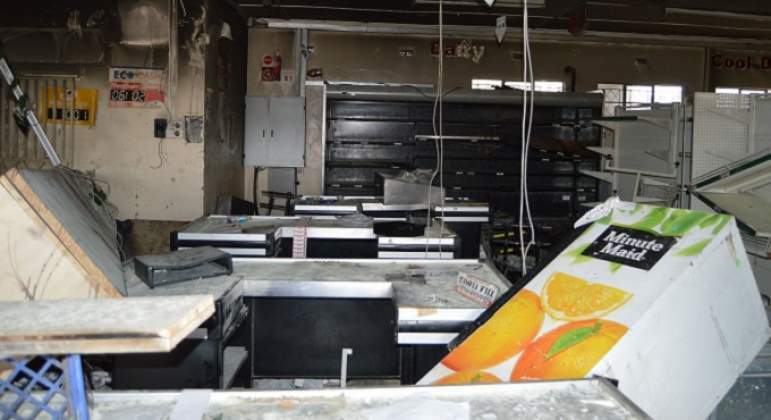 Analysts and politicians in Bulawayo have hailed the significant uptake of the national shut down in the second capital, noting that citizens in the city heeded the call due to the unacceptable levels of the economic meltdown. In an unusual pattern, protests erupted in Bulawayo on Monday morning, after President Emmerson Mnangagwa announced fuel price hikes, a development which had a direct negative impact on the livelihoods of the ordinary people. Bulawayo-based political analyst Anglestone Sibanda said this week's protests in Bulawayo had a ‘South African flare' owing to visiting locals based in the neighbouring country who are yet to make their way back after the festive holidays. He said the city has suffered high levels of unemployment due to a non-functional industry. "Bulawayo has been slow to react in the past but this time tempers and frustrations reached the levels that they have never reached before. "There are two or three generations that have never had jobs in their lives. The social media also played a great part in mobilising the people to take part in the protests," he said. "The timing also contributed to the impact of the protests in Bulawayo; young people who ordinarily live in the neighbouring South Africa were still stuck here and preparing to go back. "That is the reason why the demonstrations had a South African, injiva flare. The burning of tires that we saw is a common feature of South African protests, these people brought this culture here; they are used to it." Sibanda said it is, however, disappointing how government has turned a blind eye on the real reason behind the protests, opting to accuse the opposition and civil society organisations of pursuing a regime-change agenda. "Zanu-PF eventually becomes a winner in all this. They have always found a way to hide behind a finger and the protests cease to be about the economy or labour. It shifts to be about the regime -change agenda and government uses this to clamp down on the opposition or civil society groups," he said. Another Bulawayo-based analyst Gifford Sibanda said the citizenry has been frustrated by unemployment for years, with graduates stuck in their homes without jobs. "The dearth of the industry in the city has been a major contributor to the high figures of unemployment. Youths are idle; they stand by the corners in the suburbs discussing nothing. "Unemployment is always a threat to national security and the young people were bound to take up any call to change the state of affairs," he said. "The demonstrations were quite spontaneous in small communities and could not be personalised to a certain leader. The push was the general frustration about the state of the economy with some young people who have come out of colleges and universities struggling to get employment." MDC legislator Kucaca Phulu said looting was not an intended plan of the protests which he said were successful in communicating a message to government. "The massive response in Bulawayo was because of this economic burden that is hitting everyone; the ridiculous pricing in the shops and what people are earning. "There is also lack of assurance on how the economic situation is going to be addressed. Of course the looting was not part of the original idea of the protesters," he said. "Bulawayo is a city that has its own issues affecting it; this time they had a dog in the fight, hence the reaction." Former Cabinet minister in the Government of National Unity (GNU) Moses Mzila Ndlovu said the people of Bulawayo have in the past taken the back seat, assuming they don't have a role to play in challenging the government of the day. "The poverty has been grinding for years and the people of Bulawayo have been onlookers, thinking that they have no significant part to play or that they are not part of the fore-front in the confrontation of Zanu-PF. "The cost of living triggered the Bulawayo citizens to react, although the determination of the protesters to loot is condemned," he said. He said Zanu-PF was the orchestrator of the looting that occurred during the protests. "I don't think the looting was generated by the people of Bulawayo, but it was generated by Zanu-PF and the people just joined in blindly because of the impoverishment. The people have gone for years without eating meat; without cooking in their homes; hence the temptation. "These businesses are being run amidst the impoverished. Zanu-PF foresaw this coming and planted gangsters to organise these lootings and unfortunately people were roped in without knowing," said Ndlovu. Contacted for comment, MDC leader Thokozani Khupe said she was in the village and was not aware of the developments in Bulawayo owing to the Internet shutdown. "I am in the village and have been out of touch with what is happening in Bulawayo because of this Internet shutdown," she said.